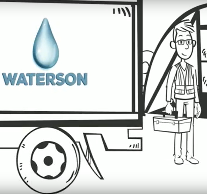 A structural need for mobile water treatment requires an appropriate service: the Waterson Membership. Within this long-term collaboration the customized mobile solutions are combined with extensive technical and operational support. 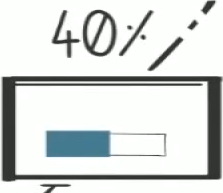 Full care at the lowest possible cost per m3. 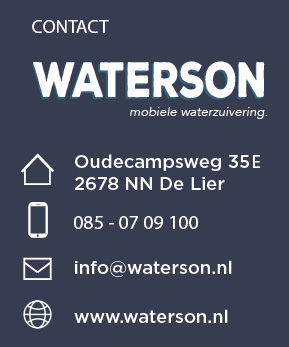 Waterson places a digital water meter on your water silo which enable online and continuous monitoring of your water level. 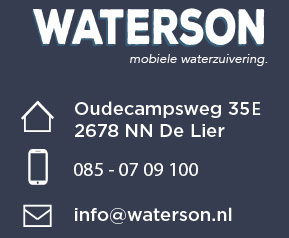 If Waterson detects a full water silo, a data and time will be set in accordance with you to treat the water. We have several purification programs that we can set and apply to your wishes. 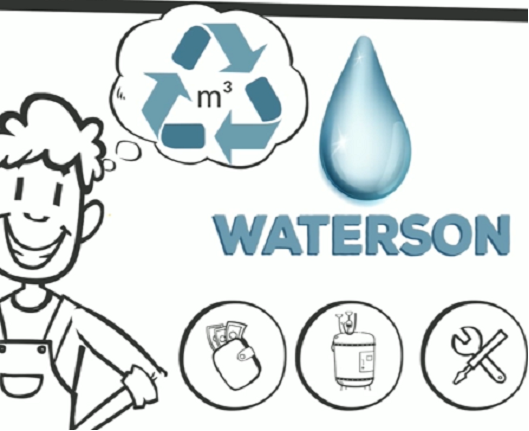 Waterson arrives at the agreed upon date and time and connects the water treatment installation to your water silo. We treat the water and discharge onto the sewerage system, surface water or enable recirculation and reuse. We guarantee the water to be purified according to regulatory and quality requirements. You receive a transparent invoice based on the total amount of water treated and agreed upon price per treated m3. We focus on optimalisation for your water system, where we aim for full recirculation or reuse and zero emissions!